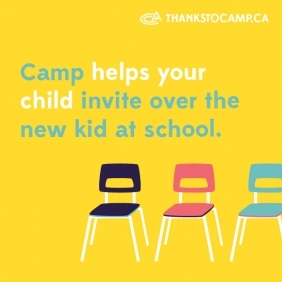 Summer camp is a time for new adventures and learning. At HOC, campers have a great selection of activities to choose from, in addition to hockey training, that take place in the beautiful Ontario wilderness surrounding our camp. At HOC, we have a camp activity for everyone! In addition to hockey training, campers get to choose two land or water-based camp activities to participate in daily. You will have the opportunity to sign up your camper for their preferred land or water activities as you register your camper. All activity choices will be finalized once at camp, giving your camper the opportunity to change their choice based on weather, scheduling conflicts, friend’s choices, instructors, etc. Campers are guaranteed one of the activities chosen below, which will be confirmed on Sunday Check-In day. Campers are enrolled in their second activity based on availability and scheduling. Therefore, please choose an alternate activity in the event that one of the others is not available. Overnight/Day Camp Program campers will choose additional activities to fill their daily schedules on Sunday Check-in. Instructional activity sessions are skill based, age appropriate and fun. Experienced and certified instructors teach each camper a series of skill progressions throughout their time at camp. This enables campers to work through one of three levels within each activity: Bronze, Silver, Gold. When campers think of the activities offered, they may consider using this time at camp to try an activity they have never done before or learn a new skill within a familiar activity. A camper can not choose duplicate activities (i.e. Archery in both Activity Periods). Two different activities must be selected. See each activity page for the description of experience required for each type of instructor.